Since 2012, Wat Webs has provided leading web design and web development services to small businesses in and around Johnston, Wake and Harnett County areas. We design professional mobile friendly websites, e-commerce websites, and custom-coded websites. Full re-design using WordPress. 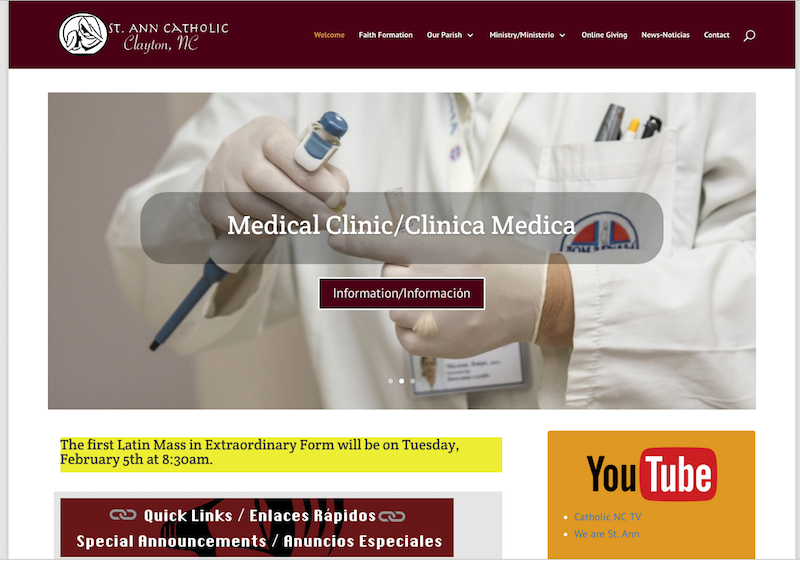 This is a nice sized parish who accesses the site with both English and Spanish parishioners. We also fixed up the website version of the logo design. This is an e-commerce design using WordPress and Woo-Commerce store plugin. Website carries users from shopping through checkout all on site. Website re-design using WordPress. 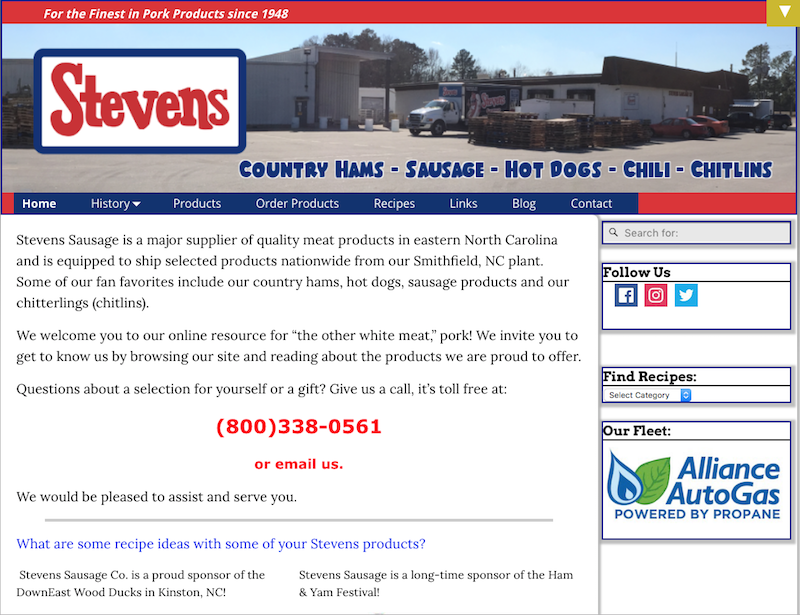 Allows users to find and read about this great company and it’s pork products. Blog feature utilized and built-in email list subscription feature. New Website design using WordPress. 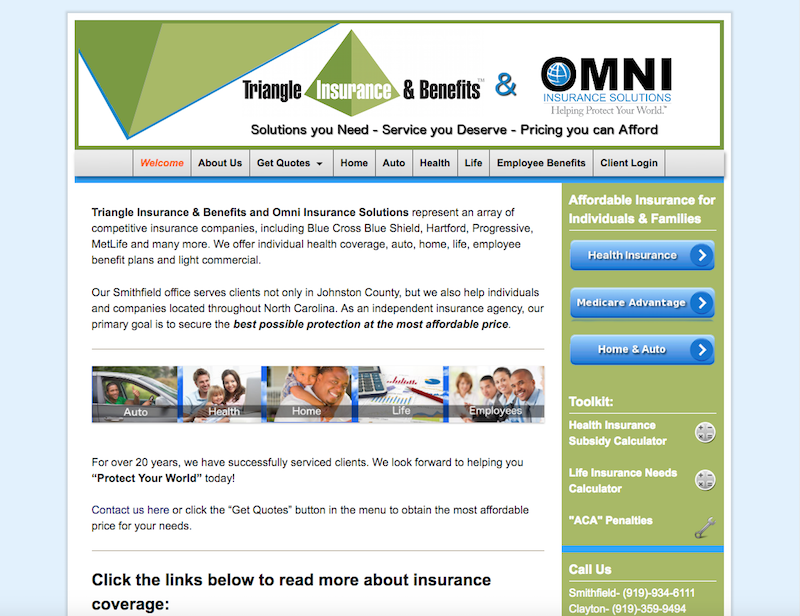 Features one of the more reputable local independent insurance agencies around! Features several custom application forms for insurance coverage built by Wat Webs and linked to site. Website re-design using WordPress. Utilizes the built-in blog feature and highlights the healthcare services for this award-winning pediatrician in Harnett County. Ties into Medfusion Patient Portal for registered users. 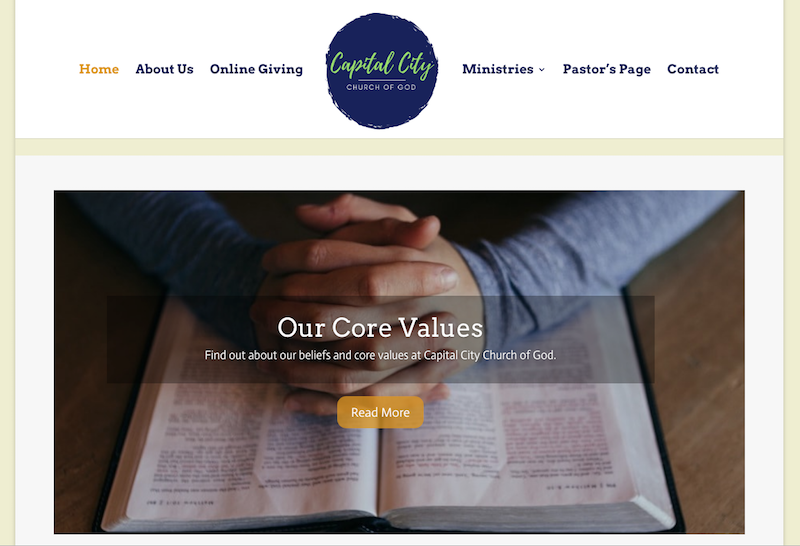 WordPress website re-design provides all necessary information about this wonderful place of worship and it’s ministries in a professional manner! Also provided the logo design. 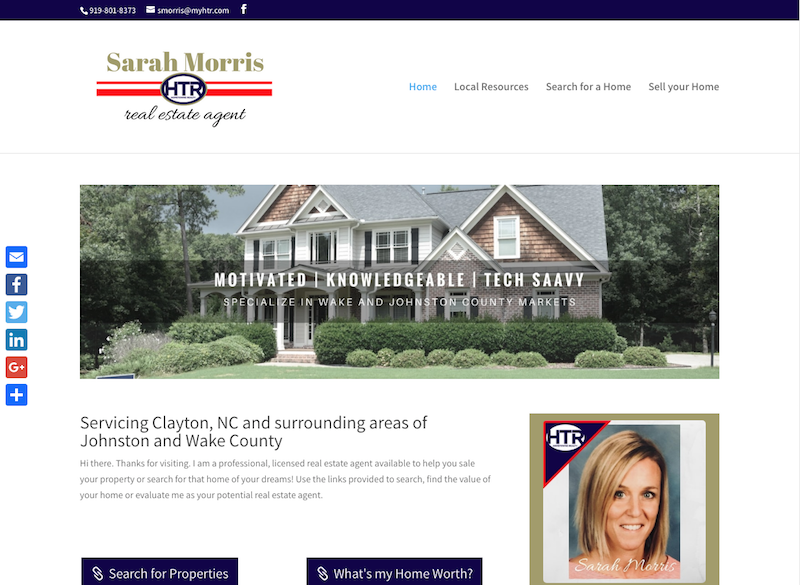 New WordPress design is a “one-pager” that links out to lead capture forms built within Sarah’s umbrella agent company. Also designed website logo version. WordPress design featuring Customizr theme and logo design. 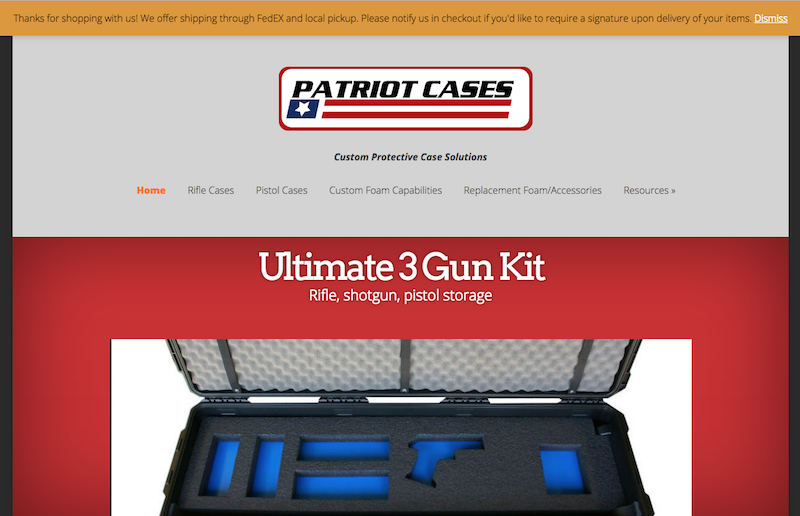 Nice, informational site that implements some marketing landing pages for select services. Also provided logo design. 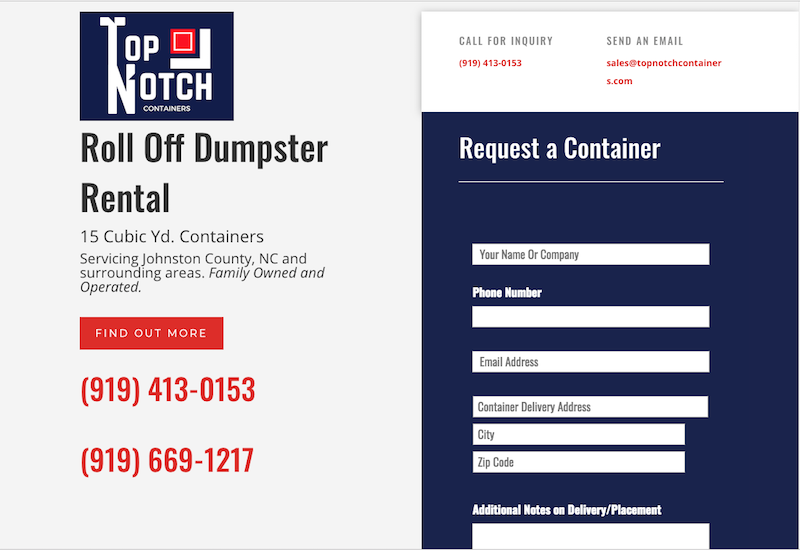 New “one-page” WordPress design provides information on renting containers and easy lead capture form implemented at top. We also designed the logo! WordPress design featuring customized Divi theme. Nice, informational site that attempts lead capture upon arriving at site. 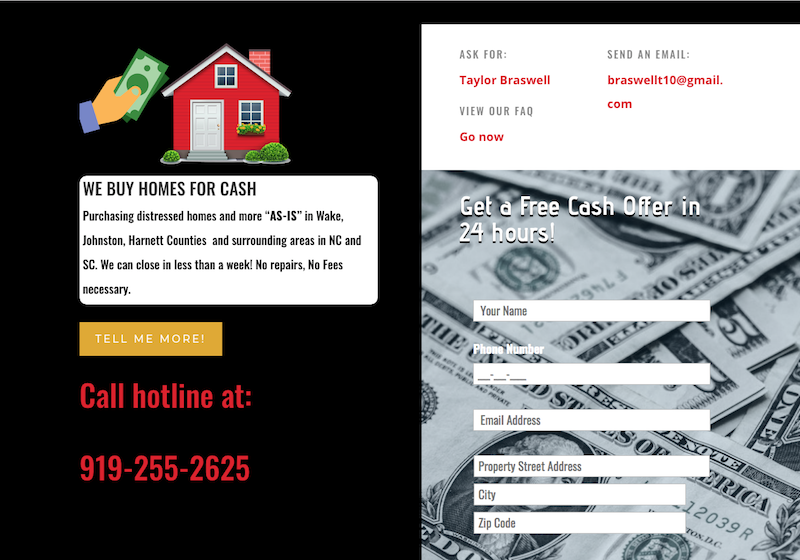 If you’re looking to sell your home fast, give Taylor Braswell and company a look! 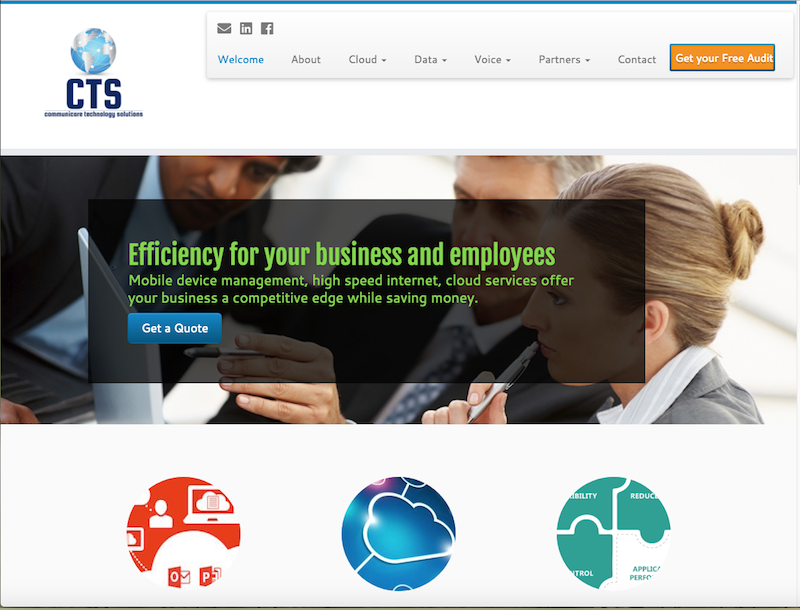 WordPress re-design serves as one of our first projects when Wat Webs was started in 2012. We drive traffic and registrations to this site using Google Adwords! Find out more about our digital ads here. 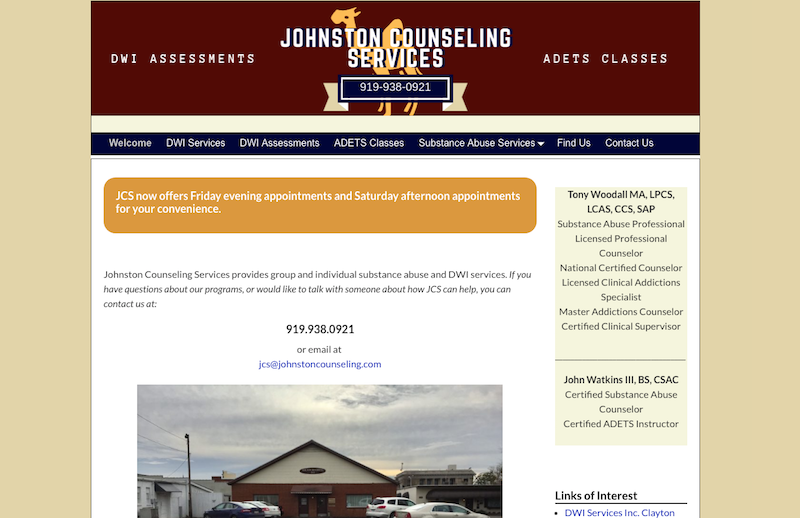 You can also view their subsidiary DWI Services website here. WordPress design featuring customized Weaver WordPress theme. 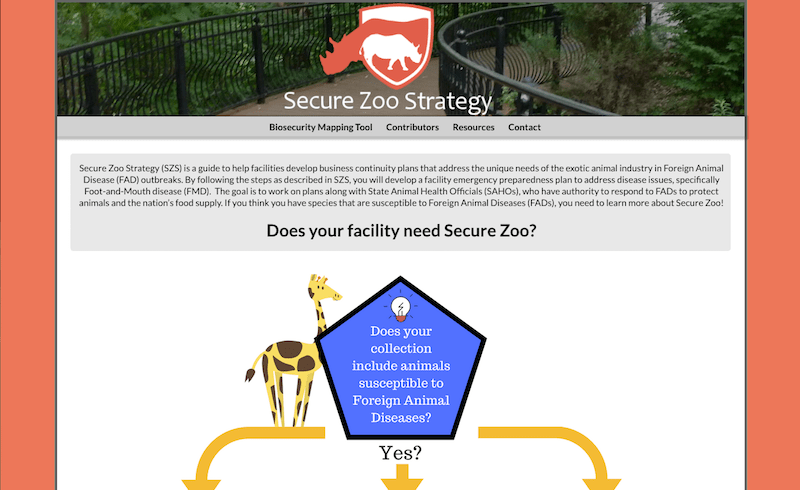 Walks you through the steps of the SZS project which is part of ZAHP Fusion Center. This was a collaborative project that took great communication between us and the client. A WordPress re-design using Customizr theme. Includes some nice CTA and custom forms for lead capture. 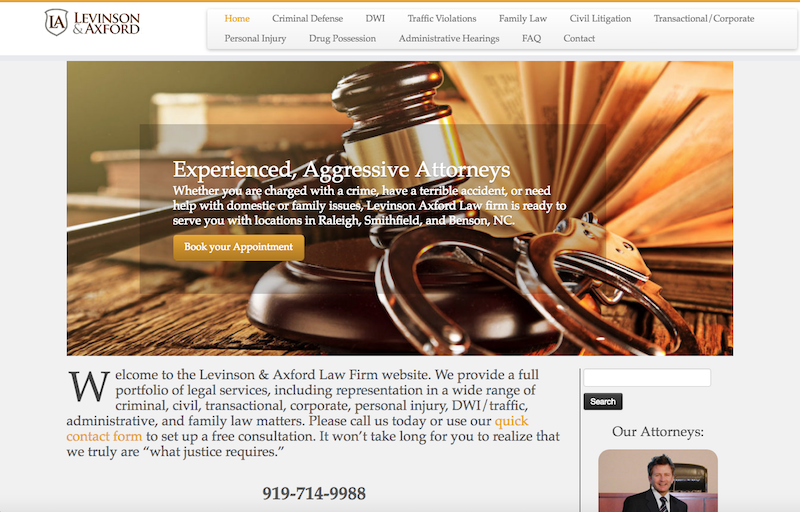 Levinson Axford Law Firm has two locations in Wake and Johnston Counties and practices several different types of law. 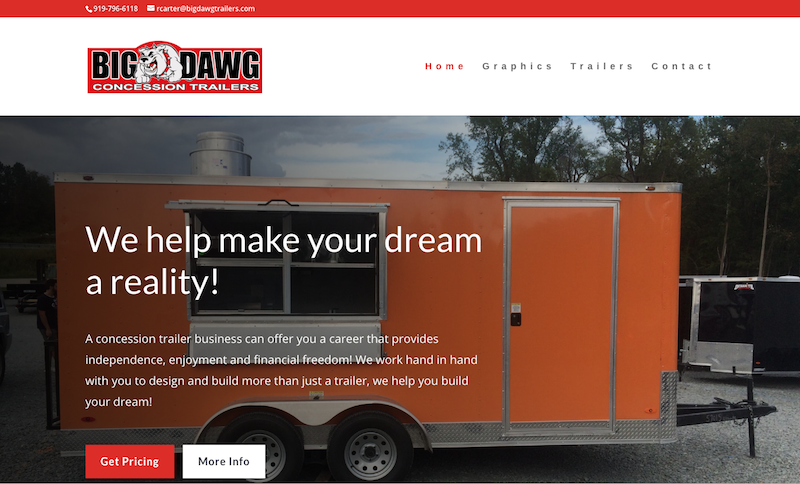 Enjoy viewing our most recent WordPress design for Big Dawg Trailers in Johnston County, NC. Big Dawg can get you and your food or mobile small business on the road to success today! We can handle your custom project! Shoot us a message below with your info and some details about your web project or start a live chat on Facebook. We will be in touch about what it will take to design the outstanding web presence that your business deserves!